PowerShell provides an Import-module cmdlet to import modules in the current session. Whereas, Python has a keyword import to load modules into the current Python Session, but the import statement does not make contents in the module directly accessible to the caller and are only accessible when they are prefixed with <module name> followed by a (’ . ‘) dot notation: <module name>.<property/method> like in the following example. Python allows us to import only the sub-module(s) of a module, which are basically packages inside a Python module using the from ... import ... keywords. or importing multiple sub-modules separated by commas. Python also allows programmers to define alternate names or aliases of the modules. While importing a module use the as keyword in following syntax import <module name> as <alternate name> to define an alias or an alternative names, these are easy to use and you don’t have to type the complete name of the module while accessing module objects. This is just a teaser content from my book in form of a blog post! 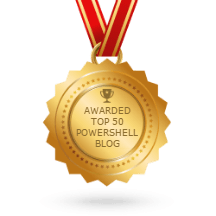 If you want to know more about Installing modules, Importing Module Aliases, Creating new Modules in Python and PowerShell and other more advanced topics on Modules? Then read my book (below) which is still in progress, on lean publishing format. Buy early, pay less, free updates!